"You know the old saying If you are not willing to risk the unusual, you will have to settle for the ordinary." If you’re not completely happy with your life then perhaps you’re not taking enough risks. This is the advice of international risk expert Steve Martin in his new book, Cool Risk: How to be Happy in a World of Worry, published by Bookshaker. Society has gone crazy about risk. The word itself – ‘risk’ – appears in print with amazing regularity. It crops up in conversation all the time. And yet, few people really understand risk. Cool Risk explores the subject of risk in language you can understand. There is no jargon and no mathematics. The easy-going style is spiced with anecdotes, cartoons and limericks. Psychological studies and the latest brain research have started to explain how and why human beings have difficulty with risk. There is plenty of evidence that worry, and other over-reactions to fear, stop people from taking risks that could improve their lives. But it doesn’t have to be like that. 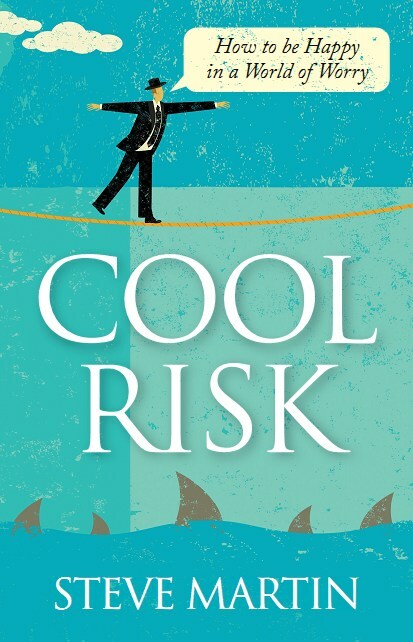 Cool Risk offers to lead you on an enjoyable quest for a less fearful – and, yes, happier – approach to life. Start now.